Building or repairing a deck is a great way to improve the value of your home while providing a terrific outdoor location for family entertaining and fun. More and more home owners are vying their outdoor space is an extension of the interior, a place to be enjoyed many months out of the year and some places all year. It makes sense that building or updating a deck can boost the value of your home with giving you that outdoor oasis in the back yard that you have always dreamed of. When it comes to decking there are 4 major categories. 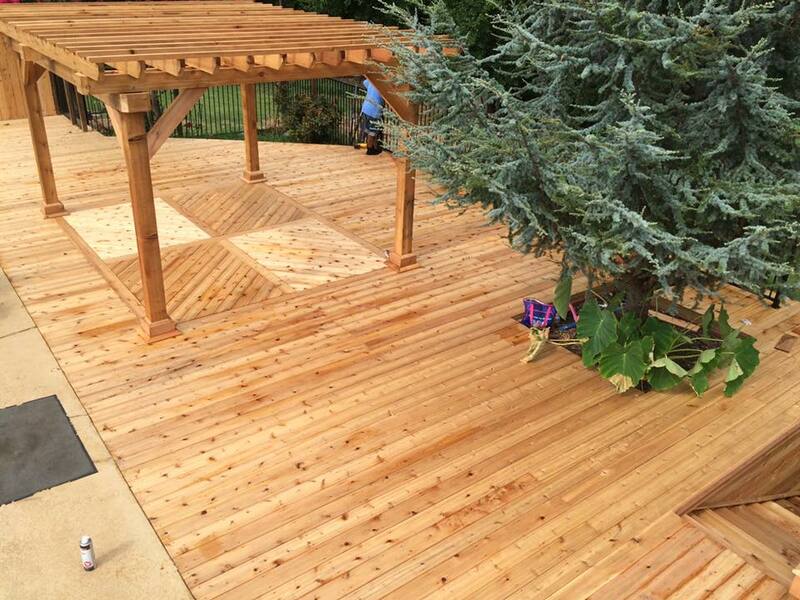 Wood decking is the overwhelming choice for homeowners. It is for most people the affordable authentic choice. Most is pressure-treated pine, but more expensive options include cedar, redwood, and tropical hardwoods. Vinyl or Plastic has become a more recent decking product. Inline wood it is not susceptible to warping or wrote and it pests have no effect on it. It is also the lighter weight alternative. Toughness, rigidity, and slip resistance. Its baked-on or anodized finish should last a long time, and its textured surface added traction in our tests. Best for the look of wood without the need to stain. It’s made of plastic and wood fiber and sometimes can be stained to change its color. Most now also come with some or all sides encased in plastic to prevent mildew growth. One of the leading composite decking products is Trex Decking. Composite decking helps you to create the perfect outdoor space for your home. Composite is environmentally friendly, does not need to be stained and sealed and is available in many colors and textures. It is also resistant to rotting and insects while providing the homeowner with low maintenance costs. You don’t need to be a deck designer to know that Trex and Veranda are leaders in wood alternative decking. Trex offers incredible strength, beauty, hassle free maintenance and a revolutionary line of products that will allow you to create the deck of your dreams. Veranda’s composite decking is easy to clean, mold and mildew resistant and can emulate the look of interior hardwoods for a gorgeous look.